The fixtures for the next two Six Nations tournaments were revealed today, with Farrell, who takes over from Joe Schmidt after the World Cup this autumn, getting his tenure under way against Gregor Townsend's side on February 1. The following week, Grand Slam champions Wales come to town before Ireland travel to Twickenham for a clash with England. Farrell's inaugural campaign then finishes with games at home to Italy and away to France. In 2021, Ireland start the Six Nations with a daunting trip to Cardiff to face Wales before welcoming France to the Aviva Stadium. They then face Italy in Rome, before finishing with an away trip to play Scotland and a home game against England. Ireland are set to continue this year's trend of Sunday games, with one coming in 2020 and a further three in 2021. 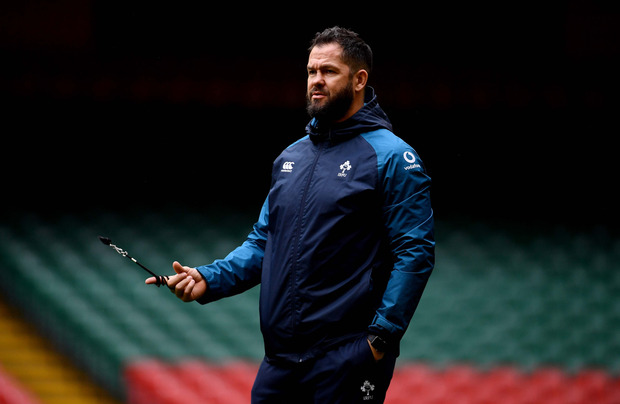 Farrell has served as Ireland defence coach since the summer tour to South Africa in 2016, earning rave reviews for the work he has done with the Irish rearguard. Previously, he served in the same role with the English team between 2012 and 2015, before he left his position after a disappointing World Cup.